Cape May is counted as one of the top beach destinations on East Coast and also holds the top spot in New Jersey. It is located on the southern tip of Cape May Peninsula in Cape May County, New Jersey, where the Delaware Bay meets the Atlantic Ocean. Amazing beaches, seafront lip-smacking dining options and vibrant architecture of 19th century, is what makes Cape May as one of the most popular tourist destinations in NJ and also a paradise for beach lovers. from World War I, Quartz pebbles which resemble diamonds, and stunning sunsets. If you are a sunset lover, this place should be definitely on our to-visit list. Definitely one of the best sunsets of the East Coast can be observed here. steps to the top from where you can get stunning views of the beach, the city, nearby trials and the bunker. The trials provide great sites for those who love bird watching. War – II bunker. The beach is clean and not so overcrowded. witness the 26 helicopters and planes on display. The ticket to enter the lighthouse is $8 for adults and for wildwood boardwalk, it is $15 for the parking. All the places mentioned above is easily accessible and has a good connectivity. Cape May has one of the finest seafront dining options in NJ. Also Wildwood boardwalk is known for its food junctions, hence you will find the best meal here. There are lot of hotels and resorts available but are a little heavy on the pocket, so as always I will prefer the homely feeling and comfort of Airbnb. Salem is a good place to stay if you plan to cover Cape May and other popular tourist destinations in proximity to it. 1. 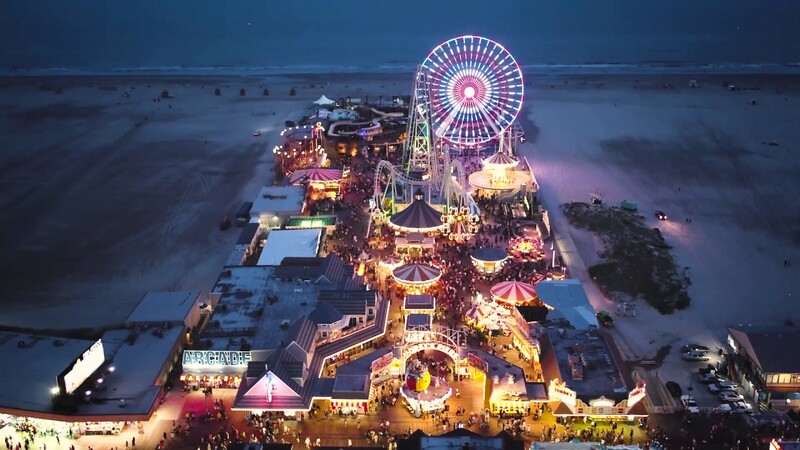 Visit Wildwood Boardwalk in night as it becomes very colorful and vibrant in the night lights. 2. Attend the evening flag ceremony on the Sunset beach. 3. Carry a zoom lens with you so that you get the best shots from the top of the lighthouse. 4. There are a lot of parking spots everywhere but Wildwood, where the parking is limited and paid. 5. Plan for atleast 2 days to cover everything. Grand Canyon - Natural Wonder of the World..! !